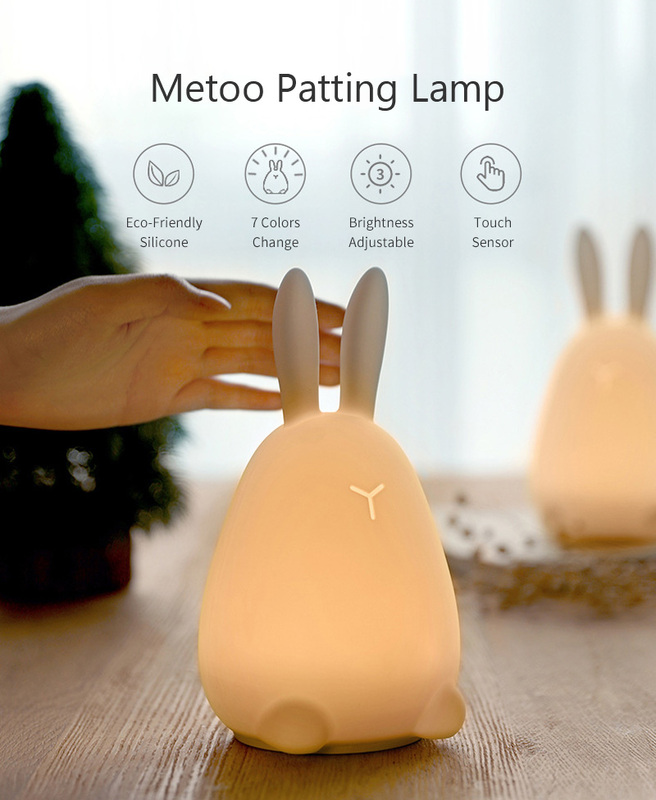 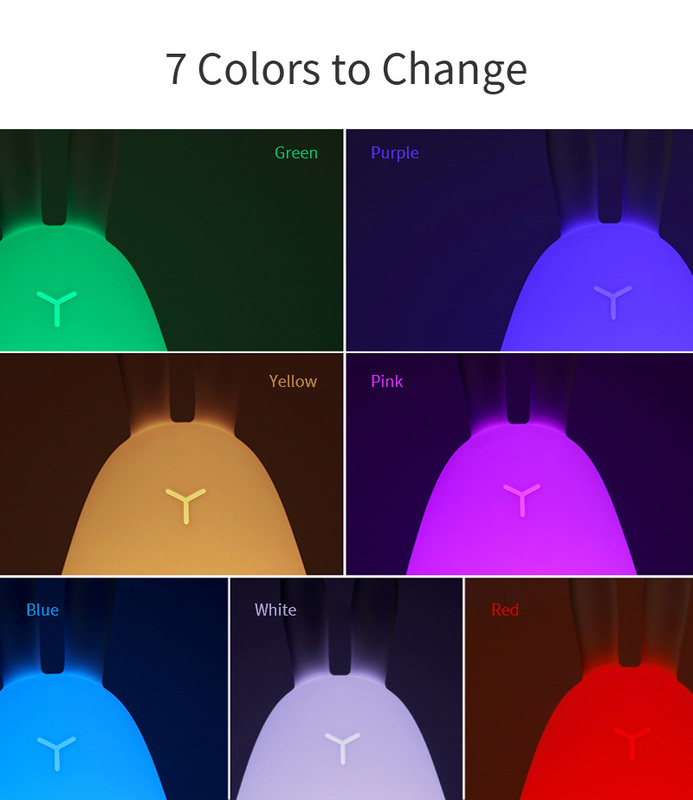 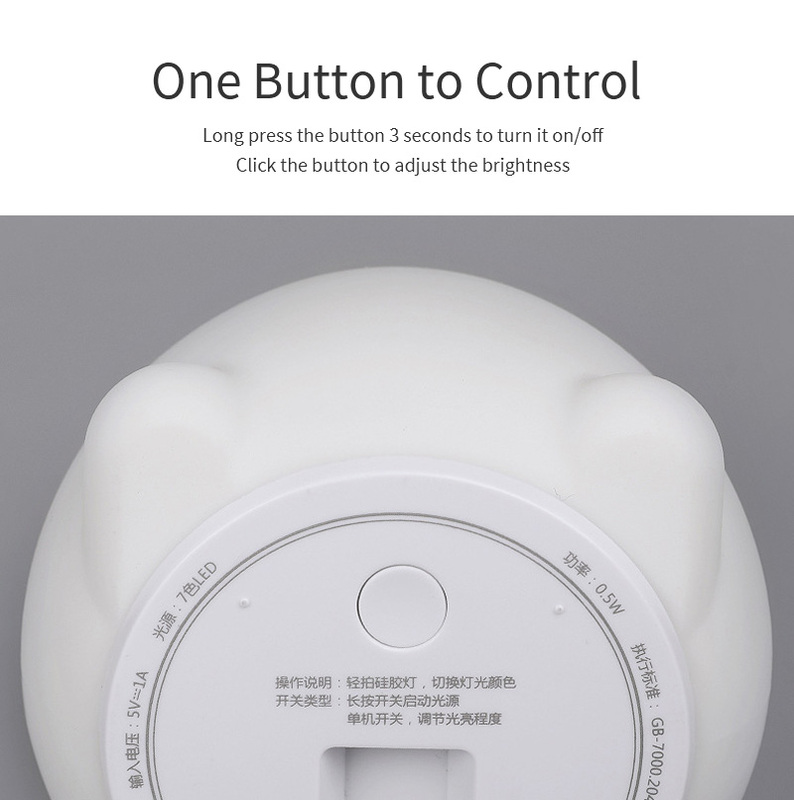 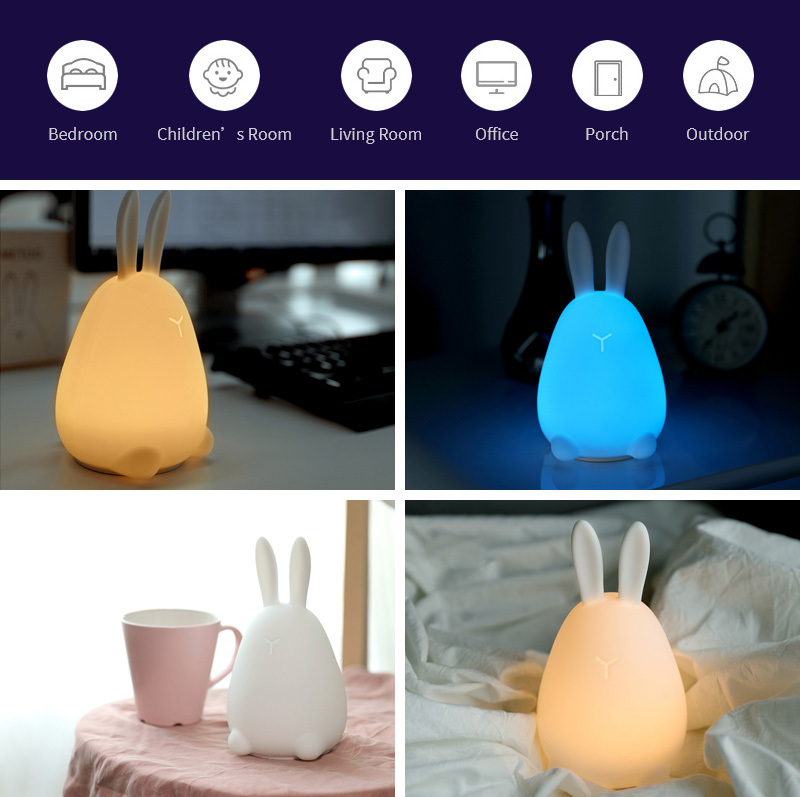 This rechargeable LED touch light is perfect on diaper changing table or crib as breastfeeding nightlight or baby nursery night light to nursing the newborn; As bedside safe light for kids and adults; Suitable for bedroom, nursery, toddler's room, living room, or even as in-tent camping lamp, decorative mood light, table lamp. 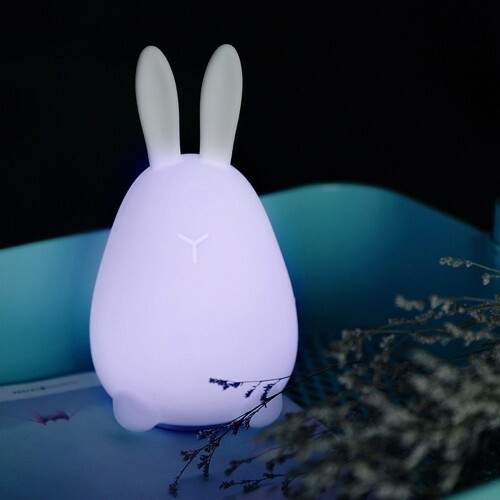 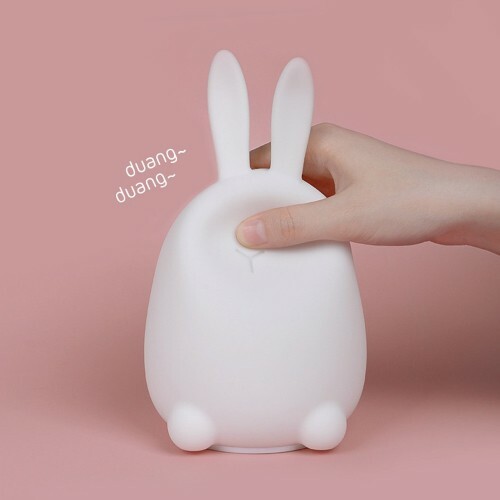 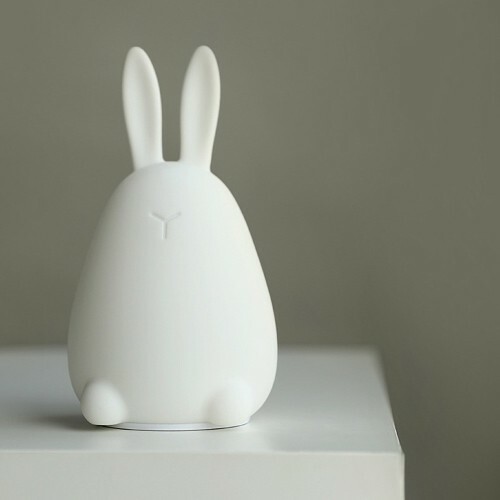 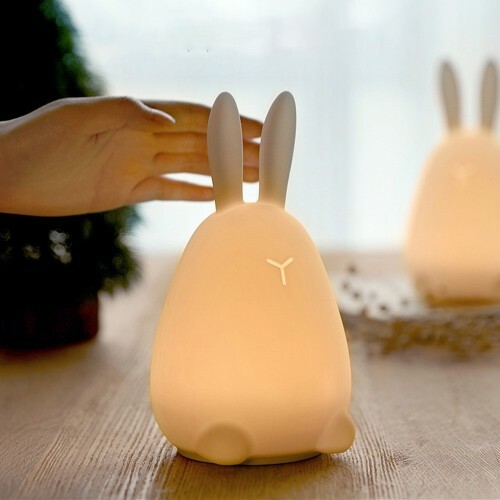 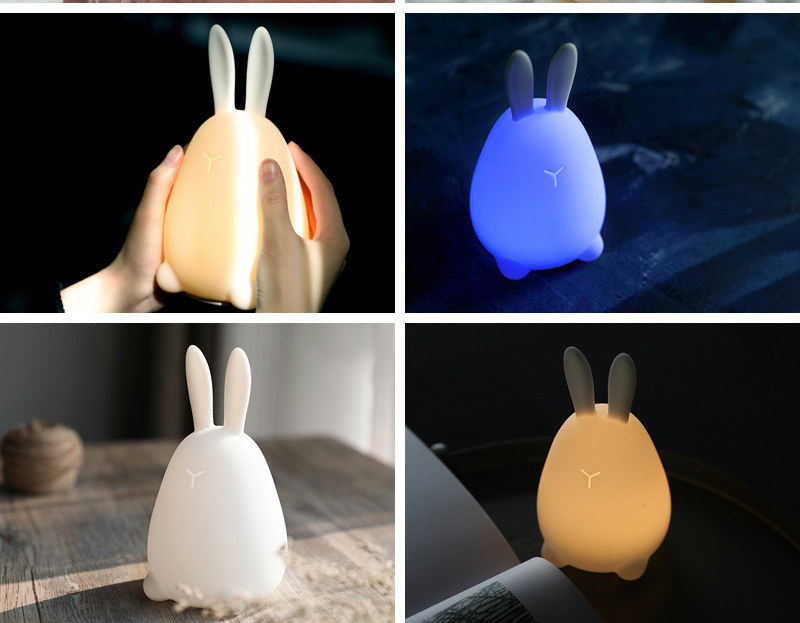 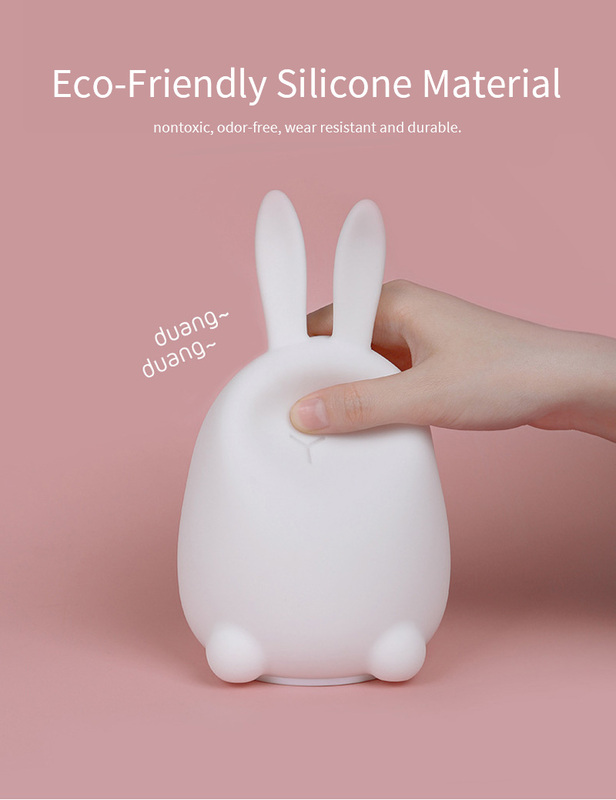 Taking BPA-free washable silicone as material, the squeezable baby night light with lovely cat face gives a pleasantly soft touch for your kids. 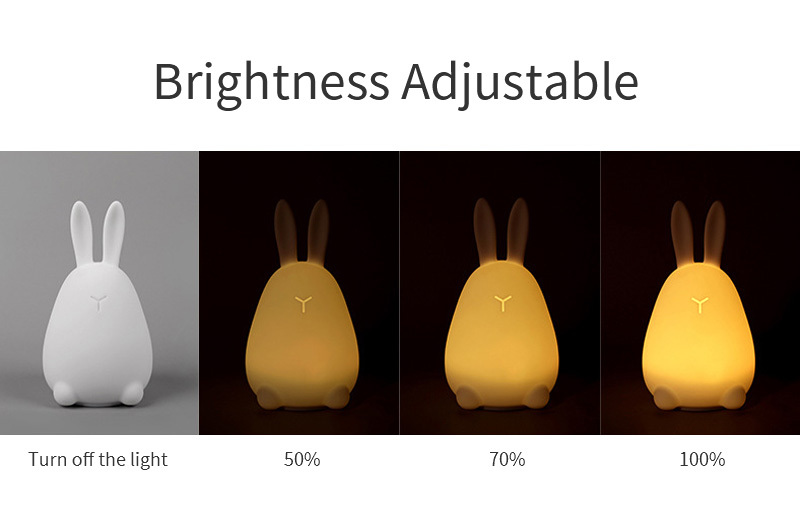 No sharp edge, energy-efficient and eye-caring LED, great for baby, toddler, etc. 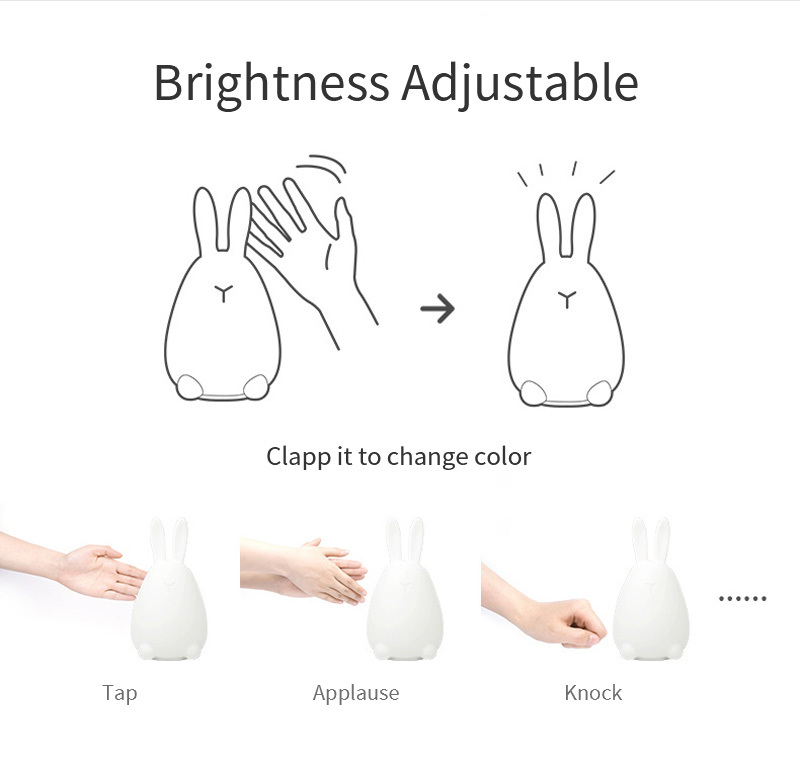 7 colour changes when patting it or clapping hands, interesting and funny. 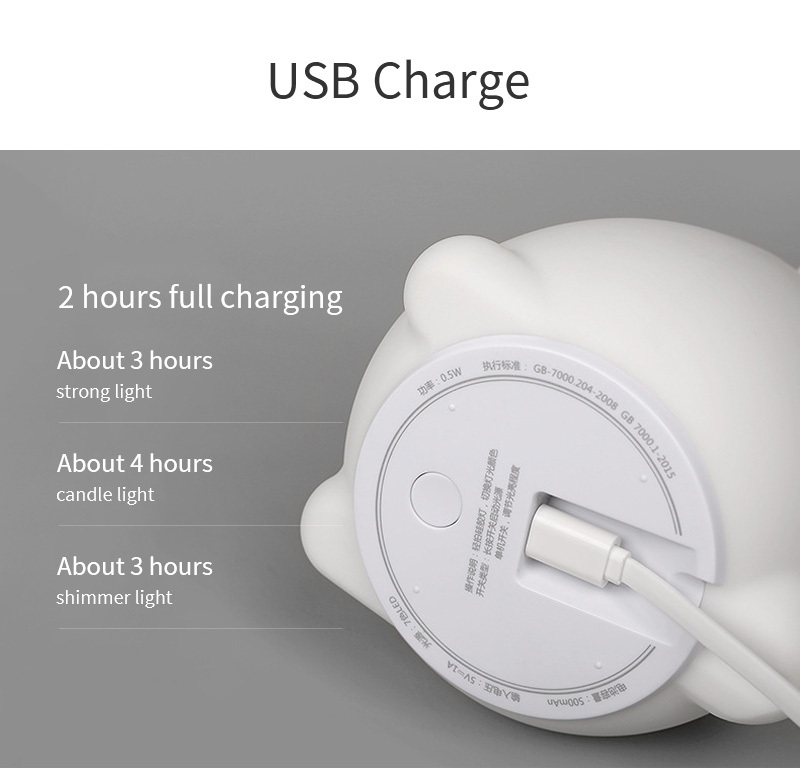 Built-in 500mAH lithium battery supports portable usage if it is full charged (5V/0.5A) for 2 hours. 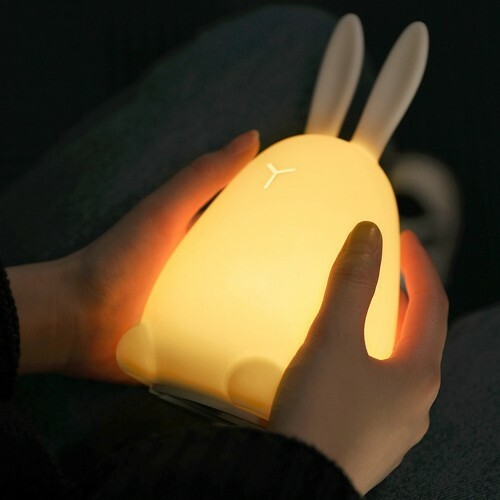 nightlight,7 colour changes when patting it or clapping hands,It was fun.